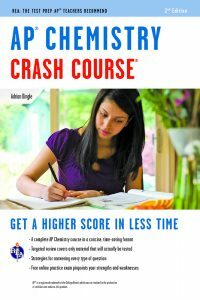 In the Spring of 2018 I will once again be offering Online AP Chemistry Review Courses for AP Chemistry STUDENTS. For many years I have offered the very popular Online AP Chemistry Summer Workshops for teachers, and now it’s time to boost AP scores from a student point of view. I will offer two, independent, six day classes in April of 2018. I will be happy to answer any specific questions that you may have about the online review courses, but in the first instance, most of your obvious questions should be answered below. How? Via the Canvas LMS (Learning Management System). Typical screenshot shown below. When? Formally, Session 1: Mon – Sat, April 16th-21st 2018 and Session 2: Mon – Sat, April 23rd-28th 2018, but the courses will be accessible on approx. April 1st 2018. What? 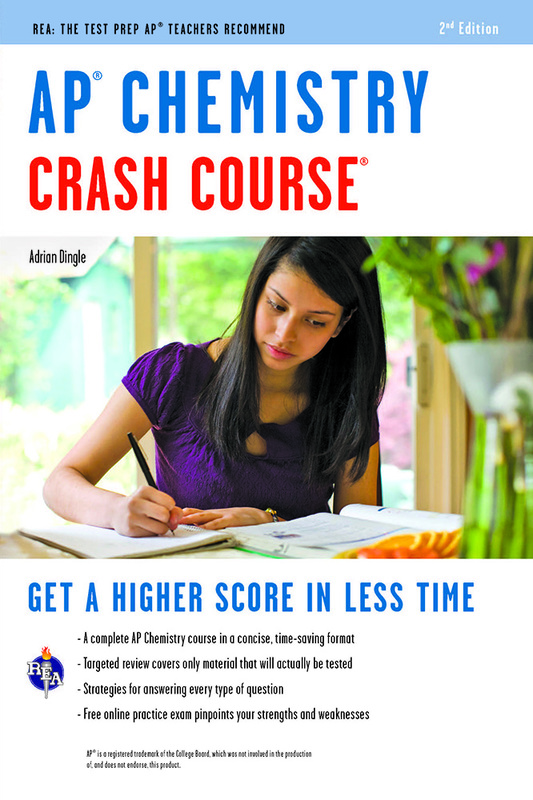 A comprehensive review of the Learning Objectives from the AP Chemistry Course, with guided reading from the AP Chemistry Crash Course book, example MC and FR questions, hints and tips, a full mock exam with answers, and much more. 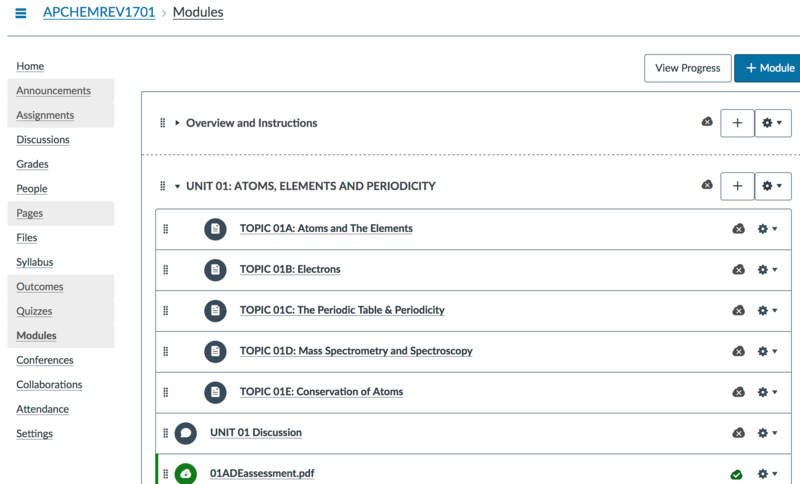 Most of the modules involve some reading, accompanied by open discussion groups where you can ask all of your questions, and example AP problems for your consideration. What if I cannot start on Monday, can I join the course later? Yes, absolutely. The beauty of the online format is that you can spend as little or as much times as YOU choose on any given day. There is no compulsion to be doing any particular module at any given time, rather you can dip in and out as you see fit, and as time allows. You may go through the course as quickly or as slowly as you choose, and all course materials will be in place at the start of the course and will remain online until the end of the day on Monday, May 7th. Please feel free to contact me with other questions about the Online AP Chemistry Review Classes 2018, or simply sign up below.